Mary and I got on the phone to talk about her experience of writing and publishing the memoir, and how she found support for the process of bringing it into the world. Mary is one of my fellow coaches in The Writer’s Circle, and she’s become one of my favorite people, too. I’m so pleased she took the time to talk with me, and my hope is that creators who are struggling to share their work with the world — or even to begin the process of creating — will gain courage and comfort from Mary’s writing journey. You can learn more about Mary’s memoir (and read her terrific blog posts!) at her website, here. Read highlights from our conversation below, or find the link to listen to our whole conversation at the bottom of the post (please note this more of a casual conversation, not a “formal” interview!). Jill: I imagine some parts of this were much harder to write than others, emotionally. Mary: Yeah, they were. And there were two things about that: Whenever I was getting close to writing something that I knew was gonna be really, really difficult, there were two things I did: One is, I reminded myself that all I had to do was write it. I didn’t have to share it; I didn’t have to publish it. There were many other reasons I was writing it. One is, I was learning how to write. Two, I was learning about me. I was honoring me. That’s another thing, I think that many times writers have, somewhere in their childhood, been shut down. “Oh, we don’t want to hear about that,” or whatever. So, by me putting it down, I was honoring myself, and my voice, and my experiences, and my life. So I told myself that, even if I choose not to publish this down the line somewhere, I still benefit. And when I did that, it made the writing of the hard stuff doable, and it also made it possible for me to be as honest as possible. … And second of all, I told myself that even if I did choose to publish it somewhere down the line, I could remove anything that I didn’t want to have in there. If it was really too tough, if I was too afraid to have it out there, I would just remove it from the book. And it ended up that I didn’t remove anything from the book. I mean, of course I tightened it … But it works to just let yourself do it, just write whatever. And then tighten, or delete. Jill: So it sounds like there was a lot of permission to write it and not have to publish it, and then there was also permission to not have to put in those more difficult parts – that you could cut those out if you wanted to. Mary: Yeah. I just had to constantly remind myself that, I have control over this. Just because I write it down doesn’t mean that I have to publish it. And it ended up that I did publish it, and actually, a lot of the fears that I had about that never came true: that other people would hate me, or judge me, or not want me in their life, or be hurt. … I think you have to just bite off small pieces as you go along, and not think of it as some great big huge thing that’s gonna change the rest of your life, because that would be paralyzing. At least for me. But when I did it bits and pieces at a time, every piece that I did was beneficial. And that even included the publishing. I mean, I’ve had people, especially younger women, that I never thought would even read it, say how much it has meant to them, and why. And that’s made it all worthwhile. This is why it was meant to be out there. And I can take fear. Jill: So basically, then, it sounds like you were writing this for yourself. So would you say that if you had any audience in mind, it was just yourself? Kind of your own listening ear? Mary: Yeah. Well, I also had a reader in that Mary [Allen, writer and writing teacher] was reading. She wasn’t changing things so much as she was just saying, “Tell me more about this. This is really interesting, could you write more here?”… So I had her as a reader, but she was a very loving, supportive, gentle reader. And in fact, having one person like that is really helpful in that she normalized some of this for me. Like, I was feeling so awful about myself, even this many years later, for doing some of the things that I did, and she would go, “Well, that’s really not all that bad.” And that sort of helped, too. So I’m not saying never have a reader and just put it out there before you’ve ever had a reader, or never have a reader in mind. 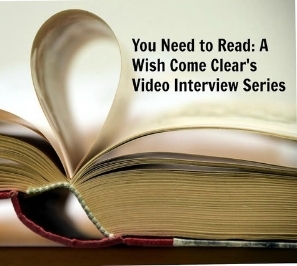 [But] have the perfect reader in mind: like, for a memoir, the most wonderfully accepting, gentle person that you could possibly imagine, who really wants to sit down and hear about your life, and not judge you for it. Because if you think about just a general “other” out there, like some big massive social media kind of other, it would be terrifying. I don’t know how anybody could write an honest memoir like that. Jill: Another point that I wanted to bring up is self-care around this process of writing something that brings up so much stuff for us. That is bound to be emotionally taxing. And physically exhausting too, probably. Mary: Yeah. Everything. Sometimes I’d just feel like all I wanted to do was go to bed. So I got to the point where I just let myself go to bed. You know, it’s okay. Or take time off, too. Take a week off. Or write something easier, write a little bit of history of the area, or something that isn’t like one trauma after another. Jill: That makes a lot of sense. I think that as writers we can get into a mentally of, I’ve gotta sit there and I’ve gotta push through, especially maybe if we have some resistance coming up for us around a particular thing. And it sounds like you were very aware of your own exhaustion, and you must have had a lot of trust in your process in order to give yourself breaks when you needed it. Mary: Well, I got it [trust]. I don’t think I had it right off the bat. But as time went on and I did it, I’d say, oh yeah, I’m noticing every time I write some really hard scene, that I don’t want to do anything but go to bed. Well, maybe it would be a good idea to just go to bed. It was through the process that I learned about me and what I needed, and what I could do and what I couldn’t. And that there was only a certain length of time I could write every day. About an hour, for this book, was it. When I got into editing, I could spend a lot more time, but the actual writing was not more than probably about an hour a day. Jill: What would you say to people who have a story – or not even just a story but some piece of creative work, something they want to share with the world, but they’re feeling stuck or scared around that? Let’s say it’s a dream right now. It’s in sort of baby dream phase and nobody else knows about it, it’s just something they really feel strongly about but they haven’t taken any action to create it. What would be the first thing you would tell them? Mary: Well, I would tell them first that, if they’re feeling this pull, this little dream, this tug, whatever you want to call it, that that’s your intuition saying that you need to do it. You don’t know why you need to do it, but there’s a tug there, there’s that intuition. I think we tend to ignore our intuition, and I’m somebody who doesn’t ignore her intuition most of the time. And most of the time, or 99.9 percent of the time, I find out why it was important that I didn’t ignore it. It may not be what you think – it may not BE about publishing it in the world. It may be you’ll help one person. It may be that you will learn something about yourself that you need to learn. But whatever it is, the very first thing I would say is don’t ignore, don’t minimize the fact that we have that tug to do it. That would be my first. And then my second would be to just begin. Don’t think very far in advance, and set aside some alone time where you won’t be bothered. And make it, like we say in the Writer’s Circle, make it sacred. And just begin. Simple. Twenty minutes, five minutes, ten minutes. And then just do something else the next day, and the next day. And just see where it goes. Because we can’t figure out in our head what the reason is. We can’t figure out the reason, we can’t figure out the end result. We can only figure that out by the actual doing of it. So those would be my two main things. Don’t ignore, and then begin. 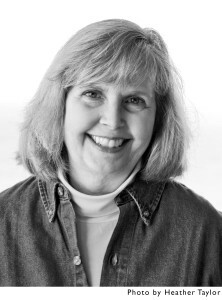 Check out the recording to hear more about Mary’s take on: being a writer who’s an introvert and a highly sensitive person; how Mary “discovered” she was writing a memoir; Mary’s process of sharing the draft of the book with people close to her; her publishing and marketing experience; and more! 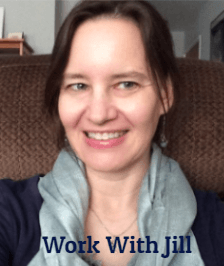 Jill, what Mary says and your insightful questions seem so important for anyone undertaking something creative. I particularly resonate to the part about writing down risky things, knowing you can always take them out. And here also, as Mary hints, those seem to be the parts that later seem the most alive.But I want to send it to my daughter, who knows Mary, and is also writing a memoir.